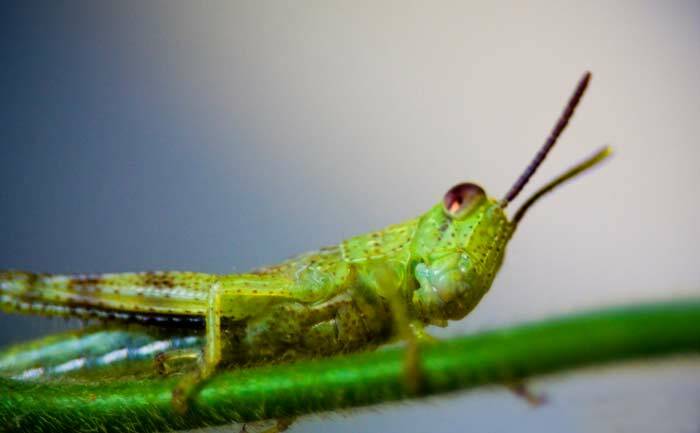 What Are Some Interesting Facts About Grasshoppers? Grasshoppers are found on every continent on the planet, with the exception of Antarctica. They can be found in tropical, freshwater, terrestrial and temperate habitats in marshes, swamps, ponds, lakes, deserts and forests. The female grasshopper lays eggs that hatch out to become nymphs. The nymphs are similar in appearance to adult grasshoppers, but they do not have wings until they shed their exoskeletons up to six times. Grasshoppers have chewing mouth parts, and their back legs are enlarged, which lets them jump. Most grasshoppers have both front and back wings; the wings on their backs are used for flying. The female of the species is larger than the male.